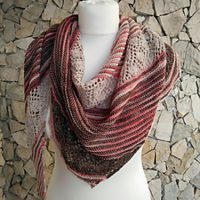 List of knitting patterns for bags found free on the Internet. I have a soft spot for knitted bags. I designed quite a few and am always on the look out for free bag knitting patterns. This bag has an interesting closure feature. One handle is shorter and is looped over the longer handle to form the closure. Carry it by looping it over your wrist. I used mine as a lunch tote. The pattern is free at my website and many people have made it so I am confident my instructions are clear. Many knitters also modified the pattern to suit their preferences. This bag has a simple wild oak cable central panel. I designed this because I wanted to learn how to make this cable pattern and a lunch tote is a great practical project to do so. The instructions of the cable are written as well as charted. I really like the feel of a bulky wool yarn used to make the bag. 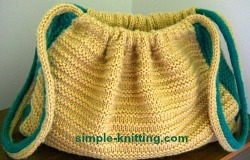 This bag is made up of 22 garter stitch squares. The square are sewn up in a clever way to give the bag it’s shape. This isn’t my design. I saw the bag on Ravelry but unfortunately, the pattern is in Japanese. Another knitter recorded brief notes of how to knit the bag. I followed it and decided to write up the pattern in English with more details. 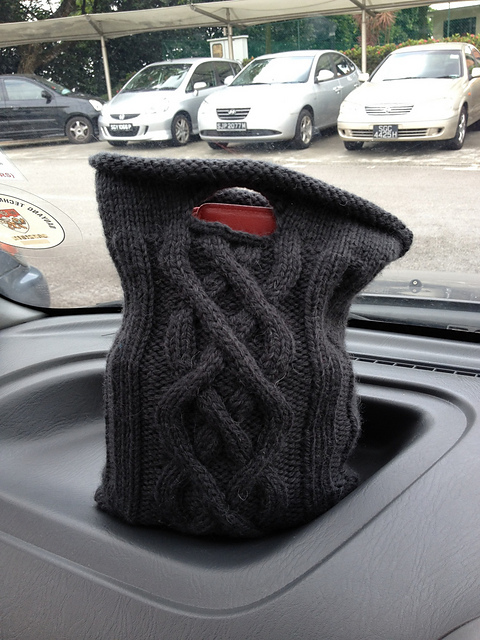 There are various ways to knit up the handles. You don’t have to follow mine. It is really a very interesting project. I thoroughly enjoyed making it. 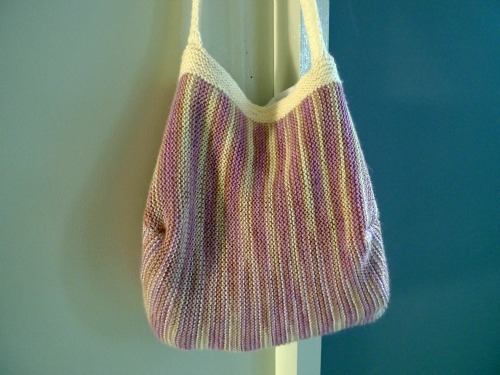 The body of this bag is made with a big square knitted in garter stitch on a bias. What does garter stitch on a bias mean? 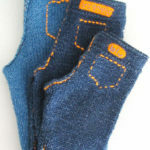 It means starting the stitch at the corner of the square and grow it into a square by increasing one stitch at each end. 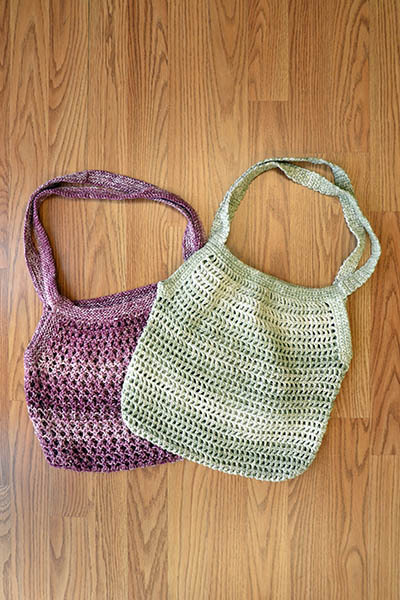 This is really a very easy pattern for a new knitter who is interested to make a bag. This bag is a combination of techniques from bag 3 and bag 4. I find placement of the garter stitch squares in bag 3 to shape the bag fascinating. I prefer making garter stitch on a bias so I decided to try out my ideas in this bag. The bag’s colour stripes is due to the sock yarn I decided to use. I am very satisfied with the project. Market bags is becoming popular as the call to reduce the use of plastic bags pick up speed. This type of bag can be quite expensive so it makes sense to know how to DIY them. The body of the bag is made up of a eyelet mesh pattern. Make 2 sides and then sew them up to form the bag. I found this bag knitting pattern at www.simple-knitting.com. It is designed by Vickie Danielson. I like the colour combination and the use of i-cords as handles. It looks like an oversized drawstring pouch.